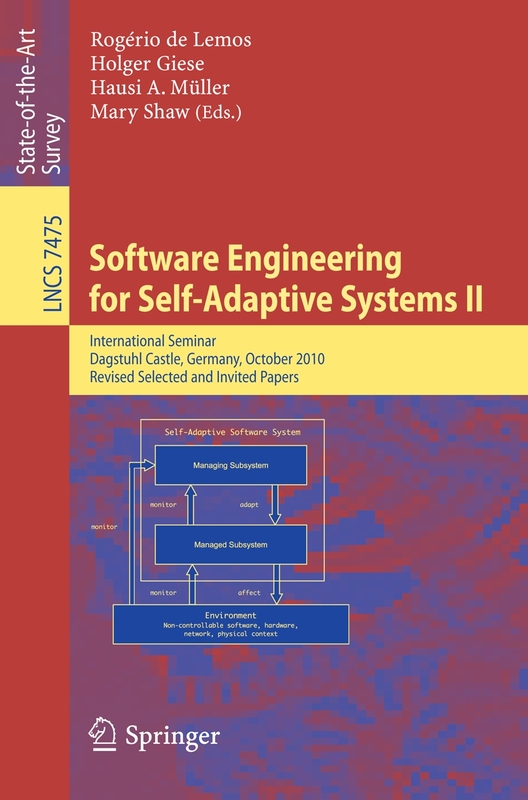 This page gives an overview of the series of Dagstuhl Seminars on Software Engineering for Self-Adaptive Systems (SEfSAS) held at Schloss Dagstuhl in 2008, 2010, and 2013, as well as GI-Dagstuhl seminars of the community held at Schloss Dagstuhl in 2014 and 2018. The 2018 seminar brings together young researchers from different communities such as SEAMS, SASO, ICAC, and AAMAS working on software engineering for intelligent and autonomous systems (SEfIAS). It is organized by Ada Diaconescu (Télécom ParisTech, FR), Simos Gerasimou (University of York, GB), and Thomas Vogel (HU Berlin, DE). More information about this seminar can be found on the Dagstuhl seminar page and here. The 2014 seminar aims for junior researchers working in the SEfSAS field and related areas to self-adaptive software. It is organized by Alessandra Gorla (Universität des Saarlandes – Saarbrücken, DE), Matthias Tichy (University of Göteborg, SE), and Thomas Vogel (Hasso-Plattner-Institut – Potsdam, DE). More information about this seminar can be found on the Dagstuhl seminar page and information about the outcomes of the seminar here. The aim of this seminar is to bring together young researchers from the two communities of Software Engineering and Control Theory in order to bring control to the core of adaptation. The seminar is organized by Antonio Filieri (Universität Stuttgart, DE) and Martina Maggio (Lund University, SE). More information about this seminar can be found on the Dagstuhl seminar page. 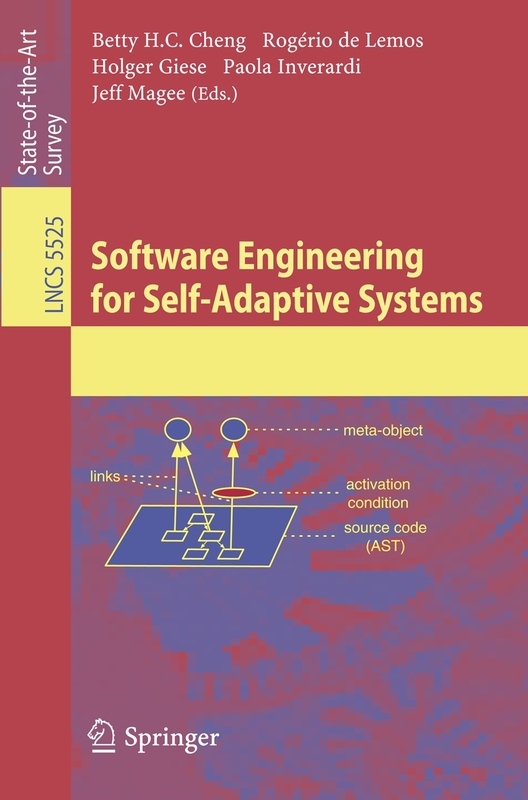 An outcome of this seminar is the SEAMS 2015 paper "Software engineering meets control theory" (open-access version) and its extension "Control Strategies for Self-Adaptive Software Systems" (open-access version) published in ACM TAAS journal in 2017. 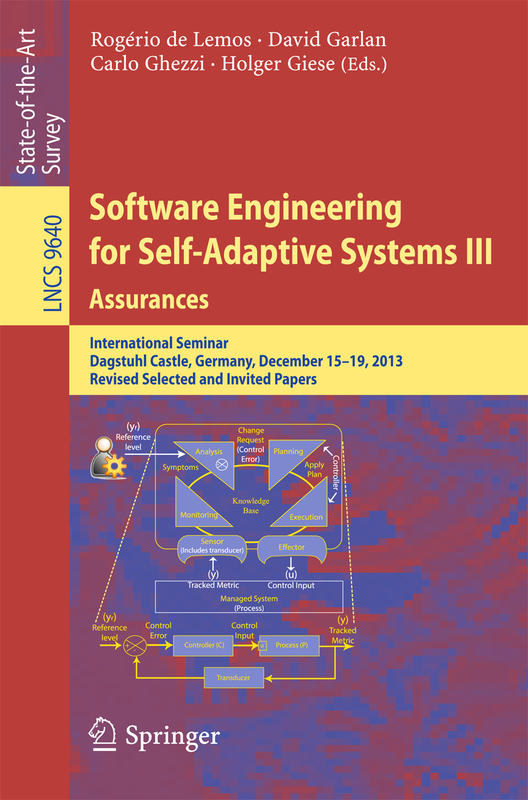 The 2013 seminar has focused on the assurance aspect in software engineering for self-adaptive systems. It was organized by Rogerio de Lemos (University of Kent, GB), David Garlan (Carnegie Mellon University, US), Carlo Ghezzi (Politecnico di Milano, IT), and Holger Giese (Hasso-Plattner-Institut – Potsdam, DE). More information about this book can be obtained from Springer and the chapters of the book are available on Springerlink. The SEfSAS II seminar was held in October 2010. It was organized by Rogerio de Lemos (University of Kent, GB), Holger Giese (Hasso-Plattner-Institut – Potsdam, DE), Hausi A. Müller (University of Victoria, CA), and Mary Shaw (Carnegie Mellon University, US). More information on this seminar can be found on the Dagstuhl seminar page. The first seminar was held in January 2008. It was organized by Betty H.C. Cheng (Michigan State University, US), Rogerio de Lemos (University of Kent, GB), Holger Giese (Hasso-Plattner-Institut – Potsdam, DE), Paola Inverardi (Univ. degli Studi di L'Aquila, IT), and Jeff Magee (Imperial College London, GB).